Disclosing tablets are chewable tablets used to make dental plaque visible. The tablets, sold over-the-counter in the United States, contain a dye (typically a vegetable dye) that stains plaque a bright color (typically red). After brushing, one chews a tablet and rinses. 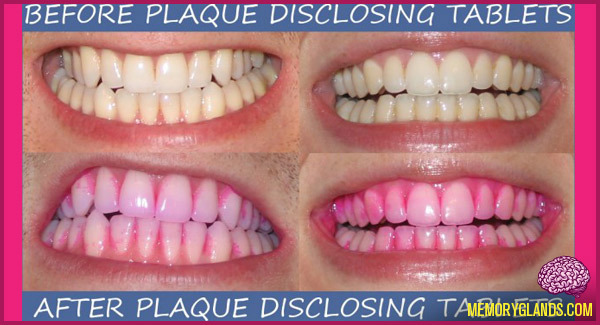 Colored stains on the teeth indicate areas where plaque remains after brushing, providing feedback to improve brushing technique. For self-examination, a dental mirror may be needed.